While the urban landscapes of many towns and cities cater much better to wheelchair users these days in terms of accessibility, some public spaces still throw up obstacles when least expected, with steps surely the bane of every wheelchair-bound person. If there’s no ramp nearby, they’re left to look for another way to their destination, an inconvenient, time-wasting and doubtless frustrating experience every time it happens. The issue has inspired Japanese researchers at the Chiba Institute of Technology (CIT) near Tokyo to come up with a specially-designed robotic wheelchair that can climb steps. The four-wheel drive, five-axis wheelchair is controlled using a joystick and moves along on its wheels until it comes to an obstacle. 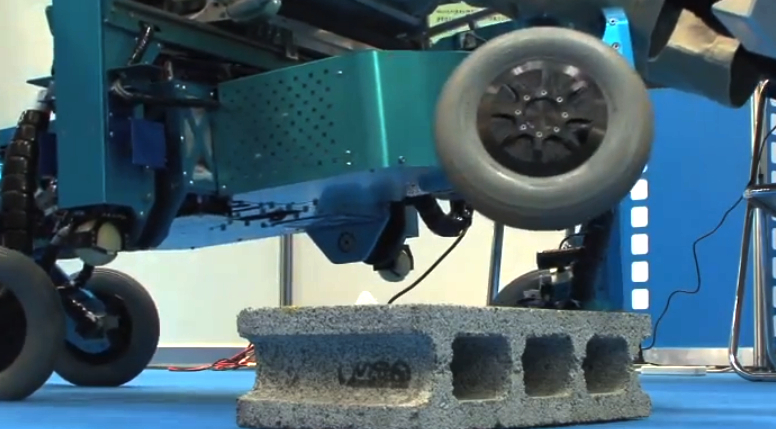 Sensors on the wheelchair then assess the surroundings before the vehicle cleverly hoists itself up and over the obstacle. A particularly neat feature is that its mechanics ensure the seat stays parallel with the ground, helping the wheelchair and its occupant to maintain perfect balance and avoid any tipping feeling – great not just for going up and down steps but also for when navigating steep ramps. “[The wheelchair] has various sensors and it uses them in combination to assess how big a step is,” Shuro Nakajima, associate professor at CIT and the person leading the team behind the wheelchair’s development, told DigInfo TV. The vehicle also is also capable of lining up its wheels, helping it to turn a perfect circle in a tight space. 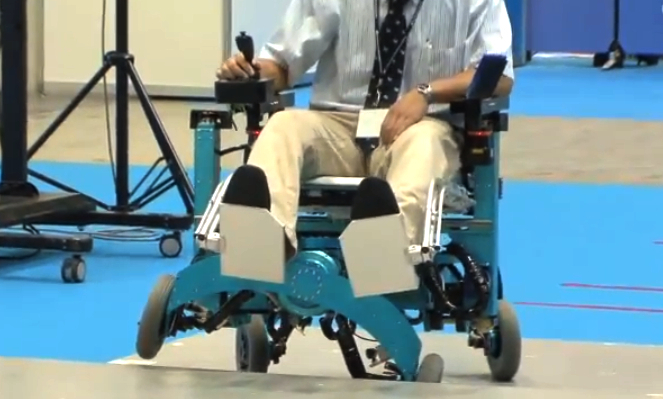 Though currently a concept design, Nakajima is pleased with his team’s progress, explaining that the robotic wheelchair’s motion is pretty much worked out, with the next stage of development involving getting a variety of people to try it out in the real world to fine tune the user experience. The neat design would certainly be a boon to wheelchair users for whom even one step in an unexpected place can prove a challenge to navigate, though it may be a while before it becomes commonly available. You can check out the vehicle in action below.